Naples Zoo is a nationally accredited zoo and historic botanical garden. Enjoy a full day of fun activities from the Primate Expedition Cruise, to Safari Canyon shows, to Meet the Keeper talks, and of course, the animal exhibits. Plus, don't forget to feed the giraffes, which is always a guest favorite! With a focus on conservation and education, Naples Zoo offers fun for every generation. Naples Zoo is Southwest Florida's only AZA-accredited zoo. Hours: 9:00 a.m. - 5:00 p.m. Last ticket sold at 4:00 p.m.
Naples Zoo is a great destination for meetings. You will be surrounded by lush subtropical botanicals and exotic animals, creating a unique experience. Our team will create a night that was designed with your needs in mind. Naples Zoo offers spaces for all types of events, including intimate dinner parties and larger gatherings such as holiday parties. During your event, you can even be visited by some of Naples Zoo's residents. For booking information, please visit www.napleszoo.org/events. Imagine having your wedding in a lush tropical garden surrounded by wildlife. 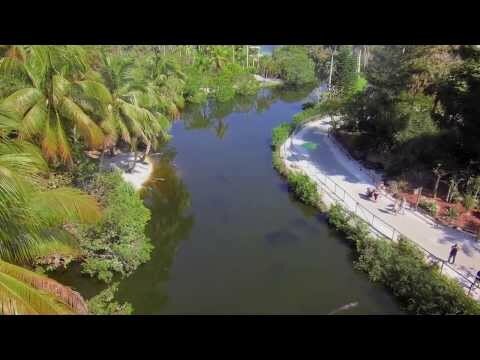 Naples Zoo is a unique venue that offers both! Our professionals will create a custom wedding experience designed with your specific needs in mind. Create amazing memories for you and your loved ones with a wedding here at Naples Zoo. All wedding packages include an on-site event coordinator, chairs for your ceremony and reception, tables and linens, napkins, a dance floor, lighting, and an animal presentation. For information, visit www.napleszoo.org/private-events. April 28, 2019 - January 5, 2020, Weekly on Sunday | 1:00 p.m. to 2:00 p.m.
May 9, 2019 | 6:00 p.m. to 8:00 p.m.
July 8, 2019 - August 9, 2019 | 9:00 a.m. to 4:00 p.m.